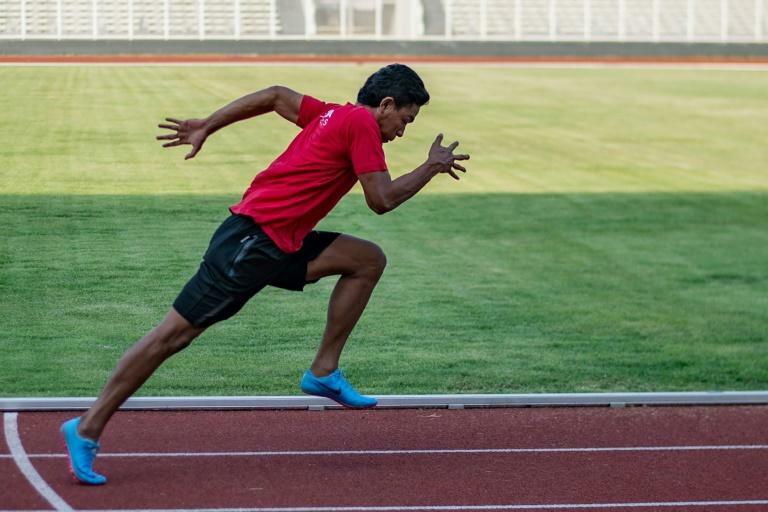 Rags-to-riches teenage sprinter Lalu Zohri has given Indonesia an unexpected confidence boost as the Asian Games hosts look to pull off their first top-10 medals finish in decades. Zohri, 18, won the hearts of Indonesians last month with a shock 100-metres victory over two favoured American rivals at the world junior championships in Finland. It was the first medal for an Indonesian athlete at the under-20 tournament and capped a heady rise for Zohri, who was raised in a bamboo shack and trained barefoot on the beach as a youngster. Now, Zohri is facing his biggest test as he competes against a field of older and faster athletes at the world's second-largest multi-sports event. "My goal is to give my best for Indonesia," Zohri, who clocked 10.18sec to win world gold, said after a training session in Jakarta. "But I'm not targeting a medal in the 100 metres." Still, his unlikely rise has given Indonesia a glimmer of hope that it too can manage a surprise showing -- and overcome a history of middling performances at international tournaments. Badminton, weightlifting, Indonesian martial art pencak silat and even paragliding are all potential medal sports for the hosts at the August 18-September 2 Games in Jakarta and Palembang. Despite a population of more than 260 million, Indonesia frequently trails smaller Southeast Asian nations like Malaysia and Thailand at the Asian Games. Indonesia has ranked no better than 13th at the past four Asiads and last placed in the top 10 in 1990. They were 17th at the 2014 Games in Incheon. Although the Asian Games allow the host nation to tailor the sporting programme to suit its strengths, some remain sceptical that Indonesia can finish in the top 10. "Last year we had a very poor performance at the Southeast Asian Games with the same athletes, so I think it is really difficult to achieve," sports analyst Fritz Simanjuntak told AFP. The country ranked fifth at the Southeast Asian Games in Kuala Lumpur last year behind hosts Malaysia, Thailand, Vietnam and Singapore. Indonesia's poor results at multi-sport events can be explained by a dearth of youth development programmes, according to Simanjuntak, who was a member of the Indonesian Olympic Committee (IOC) between 1995-2004. "We don't have a good structure for athlete development in Indonesia," he said. "The government needs to focus on the community level and the school level." Even so, many Indonesian athletes will be hell-bent on proving they're gold medal-worthy in front of passionate home crowds. Paragliding -- along with bridge and pencak silat -- will feature for the first time in the Asian Games, and there are sky-high expectations for Indonesia's team, which includes four top-10 fliers in both the men's and women's accuracy discipline. Hening Paradigma, who is aiming for gold in the men's accuracy and cross country events, said the Indonesian team has been training for a year-and-a-half. "The possibility of gold is quite high for accuracy and for cross country we have a 50/50 chance," said Paradigma, who is ranked world number seven for paragliding accuracy. "We know Korea and Japan are more experienced... but we will do our best to achieve a gold medal." While Indonesia's stranglehold on world badminton has loosened since the 1990s, it stands a strong chance resurrecting some past glory at the showpiece tournament. Diminutive duo Marcus Gideon and Kevin Sukamuljo -- affectionately dubbed the "Minions" after the little yellow characters featured in a popular 2015 animated film -- are the world's top-ranked men's doubles pair and will be tough to beat. Team manager Susi Susanti, a former Olympic gold medallist and world champion, said Indonesia's shuttlers were ready to go. "Indonesia has a chance of getting a gold medal in several divisions like men's doubles and mixed doubles," Susanti told AFP. "This is one of the most important competitions and we hope that we can contribute a gold medal for the overall Indonesian team."